Damage: The greatest risk posed by bedbugs is the irritation of bites. Bed bug bites do not typically become visible until a day or more after the insect’s feeding, at which point large welts can appear. These wheals gradually reduce in size, becoming small, red marks. There may be health concerns about spotting on mattresses infested with bed bugs. While it is difficult to directly link diseases to spotted mattresses, it is recommended that spotted mattresses be replaced, even after bed bugs have been eradicated. Habitat: Bed bugs have existed since the ancient times in temperate climates throughout the world. The common bed bug that has adapted to human environments has the scientific name of Cimex. Bed bugs swarm bird nests, and feed on household pets. Their typical source of nutrition is human blood. They can be found in unusual places and can be typically found on mattresses, small crack, comforters, and bed sheets. Bed bugs are worldwide travelers transported via luggage, clothes, bedding and furniture. Feeding and Breeding: Bed bugs feed on blood and can live up to 300 days with a an adequate food supply. Females can lay up to 500 eggs over a lifetime. Treatment: The most effective bed bug extermination methods are those administered by pest control professionals. Early detection will limit the infestation. Bed bugs are adept hitchhikers. They travel in luggage, on clothing, and inside furniture or other items that have been in infested areas. They are found in homes, apartment & office buildings, hotels, train cars, airplanes and many other places where people are at rest for a period of time. 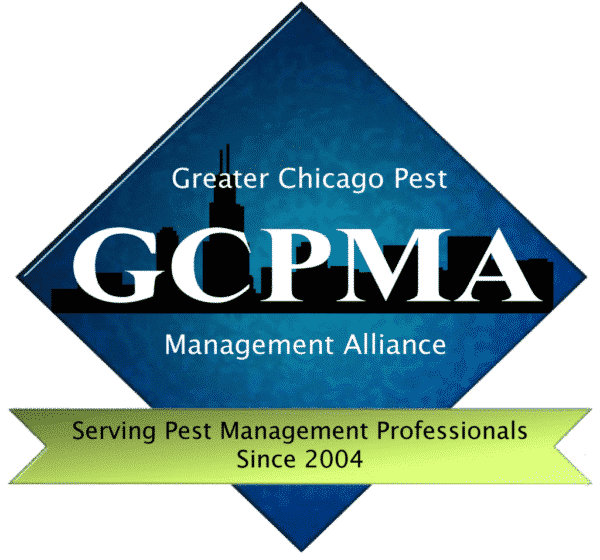 In multiple unit housing facilities bed bugs will often infest surrounding units and in single family homes it is also common for bed bugs to be found in living rooms as well as bedrooms and laundry areas. While bed bugs are visible to the naked eye, they are most active at night, and due to their cryptic nature they are not often seen during the day. Because bed bugs are small and flat, they are able to squeeze into tiny cracks and crevices on the mattress and box spring, behind headboards, and inside furniture, sometimes making them virtually undetectable. With the exception of seeing live or dead bed bugs, one common sign is the presence of dark ink-like stains on the mattress or bedding materials and on furniture itself. Skins that are shed from bed bugs during the molting process may also be found near to where they hide. It is important to know and understand that while some people show symptoms resulting from bed bug bites, many will observe no symptoms at all. There are a number of methods to treat for bed bugs. Common practices include the use of residual insecticide applications, exposure to extreme temperatures, or fumigation. It is important to know that in many situations a combination of procedures may be used to ensure the highest efficacy in eliminating bed bugs—as when used alone, some products and procedures may not be effective on all stages of bed bugs. An advanced technology known as Thermal Remediation (heat treatment) is a safe, efficient and effective solution for the control of bed bugs. Specialized mobile heating units are used within bed bug infested areas to heat and maintain air temperatures between 120°F to 135°F—the temperature range known to kill all stages of bed bug development. Thermal remediation is the preferred treatment process for the complete elimination of Bed Bugs. It kills all stages of bed bug life, including the eggs. It is a safe and environmentally responsible solution. The process takes only one day and only one treatment is required. How Much Does a Heat Treatment Cost? Several factors impact the cost of thermal remediation treatments, including the severity of the infestation and the number and sizes of the rooms that need to be treated. For a friendly, no-obligation estimate, customized to your unique situation, please contact Environ today. How Do I Schedule a Heat Treatment? Scheduling a bed bug heat treatment is easy—simply contact Environ to request a needs assessment and to schedule treatment. At Environ, we pride ourselves on our speed and delivery of service. For that reason we aspire to take care of the problem as quickly as possible and with the sensitivity and professionalism you can always count on. The road to complete bed bug elimination begins with proper identification of infested areas. While adult bed bugs may be easier to identify, bed bug nymphs and eggs are very difficult to locate, especially in early or light infestations. With an adept sense of smell, K-9 scent detection dogs possess the unique ability to detect bed bugs quickly and efficiently, with little disruption to your home, office or hotel room. Detection has no limitations in cluttered areas, inside upholstered surfaces, mattress seams, beneath carpet, behind baseboards, etc. Environ’s goal is to maintain a world class bed bug K-9 scent detection program. Environ will only employ canines having achieved 600 hours or more of specialized training on how to seek and find bed bugs. K-9 Unit team handlers will also provide continuous training to keep the dogs sharp and focused. While no bed bug inspection can be 100% accurate, the use of a trained K-9 bed bug inspection team is the most accurate means of detection available. HOW DOES A K-9 UNIT BED BUG INSPECTION WORK? K-9 bed bug detection dogs use their keen sense of smell to detect the odor of live bed bugs and viable bed bug eggs. Environ’s K-9 unit dogs are trained on a food/or toy reward philosophy, similar to cadaver and police dogs. This means that if the K-9 “alerts” (a special action specific to each individual dog’s training) it will be rewarded with a toy by an Environ’s K-9 handler. The area or areas where the K-9 “alerts” will be documented for further inspection by the handler. Thereafter, Environ’s professionals will focus on the physical evidence of bed bugs in order to develop a successful treatment strategy, with the intent to completely eradicate bed bugs where they are identified.